But while the former steps in evolution were taken by Nature without a conscious will in the plant and animal life, in man Nature becomes able to evolve by a conscious will in the instrument. It is not, however, by the mental will in man that this can be wholly done, for the mind goes only to a certain point and after that can only move in a circle. A conversion has to be made, a turning of the consciousness by which mind has to change into the higher principle. This method is to be found through the ancient psychological discipline and practice of Yoga. In the past, it has been attempted by a drawing away from the world and a disappearance into the height of the Self of Spirit. 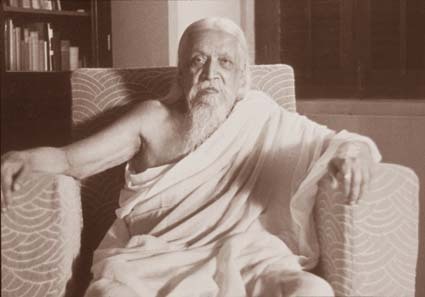 Sri Aurobindo teaches that a descent of the higher principle is possible which will not merely release the spiritual Self out of the world, but release it in the world, replace the mind's ignorance or its very limited knowledge by a supramental Truth-Consciousness which will be a sufficient instrument of the inner Self and make it possible for the human being to find himself dynamically as well as inwardly and grow out of this still animal humanity into a diviner race. 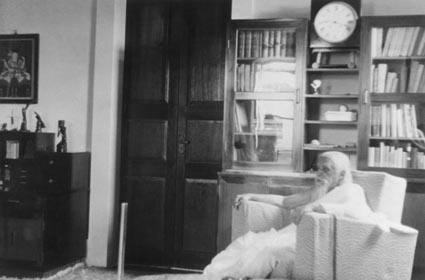 The psychological discipline of Yoga can be used to that end by opening all the parts of the being to a conversion or transformation through the descent and working of the higher still concealed supramental principle. There are many things belonging to the older systems that are necessary on the way - an opening of the mind to a greater wideness and to the sense of the Self and the Infinite, an emergence into what has been called the cosmic consciousness, mastery over the desires and passions; an outward asceticism is not essential, but the conquest of desire and attachment and a control over the body and its needs, greeds and instincts are indispensable. 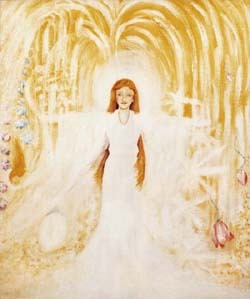 There is a combination of the principles of the old systems, the way of knowledge through the mind's discernment between Reality and the appearance, the heart's way of devotion, love and surrender and the way of works turning the will away from motives of self-interest to the Truth and the service of a greater Reality than the ego. For the whole being has to be trained so that it can respond and be transformed when it is possible for that greater Light and Force to work in the nature.